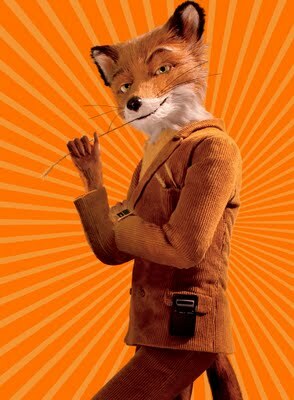 I absolutely adored Fantastic Mr. Fox, it may be Wes Anderson's best work yet. Really. It may be my favourite George Clooney film too. What could be better than Anderson's dry humour delivered by animal puppets? Great cast, brilliant writing. Couple that with his extreme attention to detail of all aspects of the film – particularly the set and costumes – it's genius. 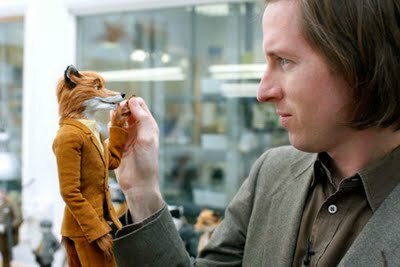 The stop-motion animation is also a nice change from all the computer animated features of late (not that there's anything wrong with them...). I really appreciate the work that went into this film. 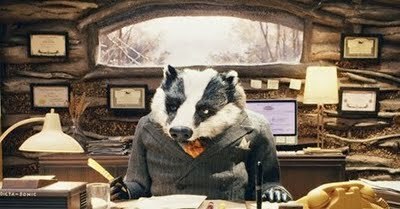 One hilarious little detail was the iMac (complete with yellow sticky notes stuck to it) that sits in the office of Mr. Fox's lawyer, "Badger" (played by Bill Murray). p.s. This film is kid-friendly too, plenty of laughs for everyone. Watch for the particularly clever use of the word "cuss." So freaking funny. Just to give you a glimpse into what went into making the film, check this out and watch the video below. it's incredible.